Stop 2 - what a long walk from the Bouverie. Got chatting to an ex Rhodesian chap (yes he was quite old) who claimed he had called the health inspectors when this was the Frenchman leading to it being shut down. Tonbridge - Lookers Liquor (house beer) 4.20 Nicely hopped, in good condition. Tonbridge - Hookers Hooch (house beer) 4.00 Rather flat. Pig & Porter - Geest Ale (house beer) 5.20 ABV shown is a best guess. A swift half in passing mid afternoon. This is an extensively renovated bistro style pub now that would not look out of place in Kensington or Chelsea. 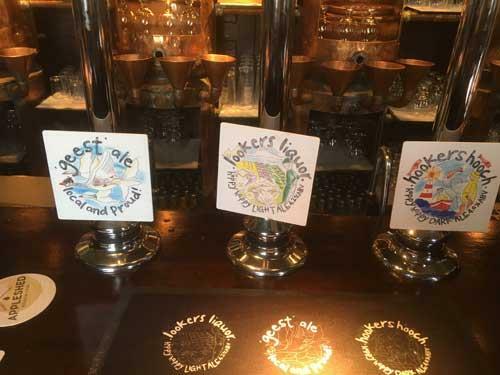 Three ales on pump but all rather annoyingly with bespoke pump clips that didn’t feature the brewer and one that didn’t even have the ABV - I was told by a local that it was Pig & Porter (labelled as just “geest (sic) ale local and proud” - the young woman serving had no idea of the provenance. What trendy nonsense is that? Tonbridge - Lookers Liquor (house beer) 4.20 A very nice light, hoppy ale - probably a house name. 18:30 visit. Back in Folkestone and a first visit here for me and for P&B for over severn years? Nice pub, big on Premier soccer, but quiet now. Jennings - Cumberland Ale 4.00 The sole real ale on, in good condition. One other pump normally available, but not today. Only about a dozen people in on a mid monday afternoon. Just 2 real ales on. 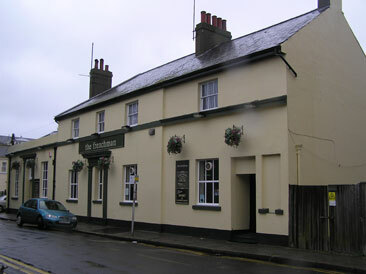 The pub is found in Folkestone, Kent, CT20 2SX. 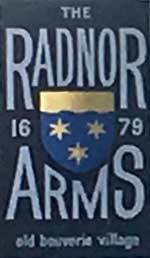 Formerly the Westcliffe Shades, Happy Frenchman and Frenchman this pub reopened as a free house in May 2018 operated by Ramblinns specializing in locally sourced food and drink. We have visited this pub 7 times, seen 8 different beers and tried 6 of them.